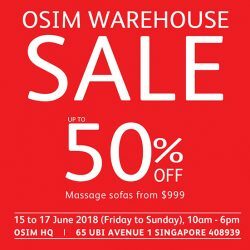 15 - 17 Jun 2018 OSIM: Warehouse Sale 2018 with Up to 50% OFF Display Sets & Massage Chairs from $999! 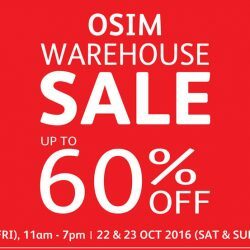 OSIM Warehouse Sale is back! 3 Days Only! Hurry down to enjoy amazing reductions of up to 60% off display set products. This is one sale you cannot afford to miss! 3 Days Only! 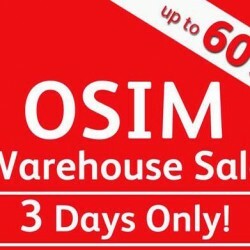 Hurry down to OSIM's Warehouse Sale with amazing reductions of up to 60% off display set products. This is one sale you cannot afford to miss! 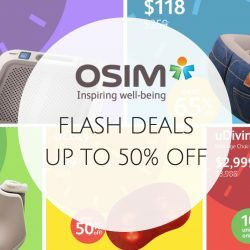 FLASH DEALS: Time is of the essence when it comes to these great offers from OSIM! Whether it is an invigorating full body massage or quick soothing relief for your feet, pampering treats this fantastic won’t last for long. Hurry, get yours now by 9 Oct! While stocks last. Calling all Pokémon Go fans! Get real rewards hunting at our OSIM stores. 3) show your post to any OSIM well-being consultant. The first 30 Pokéfans who do so each day will receive a free OSIM eye mask! Catch this promotion fast, while stocks last. DBS/POSB CARDMEMBERS ONLINE EXCLUSIVE: Travel in first-class comfort with our amazing deals. Enjoy the uGalaxy Eye Massager at $230 (U.P. $299). Featuring scientifically-proven mood light to regulate your body's rhythms, this revolutionary eye massager targets vital acupressure points to help relieve headaches, insomnia and jet lag fatigue. Plus, you can now experience the calming restorative powers of the uSnooz Massage Wrap for just $34 (U.P. $69.90)! The perfect companion for your overnight flights, its gentle vibration soothes away aches and strains so you can wake up feeling refreshed at your destination. Offer ends 24 August. For more details, please visit http://sg.osim.com/gift-promotion/dbs-online-exclusive.html. Celebrate National Day with a Singapore brand's march-past! Enjoy our SG51 salute! Act quickly to join in the festivities, as our limited-time offers will only be available until 14 August. How would uVision your weekend? Wouldn't it be nice to cuddle up with our uNap Cuddle Blanket in the comfort of your home? We've just made things a little sweeter for you at our webshop! 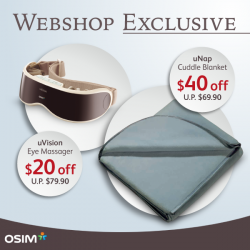 Get your OSIM uNap Cuddle Blanket @ $29.90 (UP$69.90) and uVision @ $59.90 (UP$79.90). Promotion ends 3 Jul. Have a happy weekend! Love, OSIM. With discounts like these, there's no better time than now to enjoy some of the best in wellness! Offer ends 5 June. For more details, please visit http://bit.ly/1siTEOA. Relax anytime, anywhere with easy-to-use, easy-to-carry uPamper and uCozy 3D. 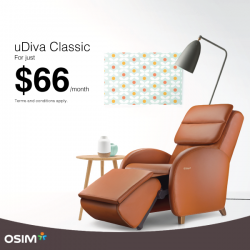 Do something nice for yourself this weekend with $50 off these 2 models at all OSIM stores! uDiva Classic transforms from a small sofa into a full-body massage chair as well as a relaxing lounger. With 3 months waiver, get this great-value multi-tasker for just $66/month! Offer ends 13 Mar. Discover more at here. Queue for a chance to buy OSIM uCaress 3D at $50! Simply be the first 50 to join in the queue at OSIM White Sands store (#02-07) at 2.30pm on 28 Feb (Sunday). 10 lucky winners will be picked to walk away with uCaress 3D for a special price of $50. 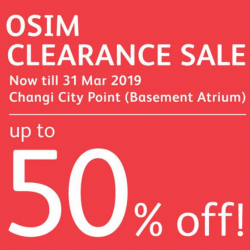 All other participants will receive a $50 OSIM cash voucher, valid for same-day use only. See you there! Enjoy this Valentine weekend, treat your partner to some TLC with the OSIM uPamper, a sleek power-packed handheld massager that taps deep into muscle tissue where the aches and fatigue are. Using unique warm air therapy charged with negative ions, the uPamper promotes overall well-being that spells L.O.V.E. Enjoy $50 OFF when you purchase at here. 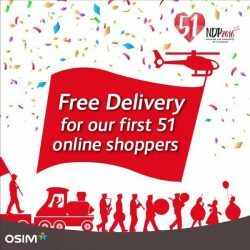 Enjoy free delivery when you order any OSIM products on their web shop for the next 3 days only. Terms and conditions apply. Visit Here for more details. A Magical Christmas Gift Bundle 2 for $168! Grown-up Christmas lists are made of these! $168 bundle deals and more awaits at here. Enjoy the Magical Christmas Gift Bundle and get 2 for $98 only. All we want for Christmas are these $98 bundle deals. More details here. 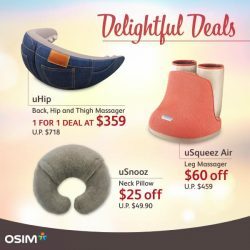 Osim: Magical Christmas Gift Bundle @Take 2 for $68. Enjoy their magical Christmas gift bundle, take 2 for $68. Double your festive joy with these great value $68 bundle deals. Browse more holiday offers at here. 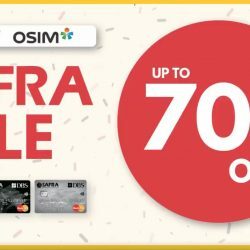 OSIM Q-pon Deal is happening today! 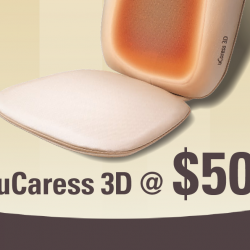 Queue for a chance to buy OSIM uCaress 3D at $50 (UP: $399). Simply join in the queue at their Plaza Singapura store (#03-09) at 2.30pm today. 10 lucky winners will be picked to walk away with uCaress 3D for a special price of $50. 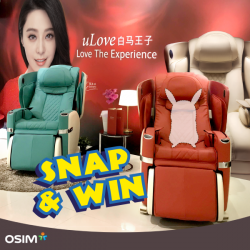 In addition, they will also be giving out OSIM uCaress 3D $50 off voucher to everyone who's in the queue. Thank you and see you all later! Terms and conditions. 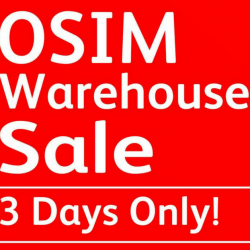 The OSIM Warehouse Sale is back again! This time you can get up to 60% off their products such as massage chairs, accessories and more. From 23 to 25 October 2015 at OSIM Headquarters. Enjoy for inaugural OSIM uVote election was a success. 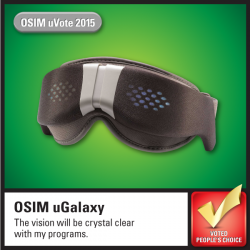 In celebration, we are taking $50 OFF uGalaxy, voted People's Choice for Eye Massage. Now on at all OSIM outlets until 13 Oct 2015.For more details here. Grab yours today. 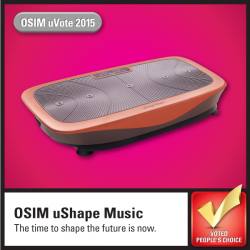 OSIM Offers their $100 OFF uShape, voted "People's Choice" for Tone & Shape inaugural OSIM uVote election was a success, they are taking. Now on their web shop here at all OSIM outlets until 29 Sep 2015. 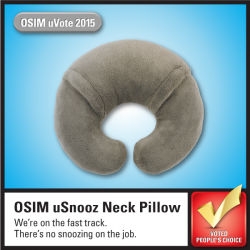 The inaugural OSIM uVote election was a success thanks to you. In celebration, they are taking 50% off uSnooz, voted "People's Choice" for travel massager. Now on their webshop here or at all OSIM outlets until 22 Sep 2015.